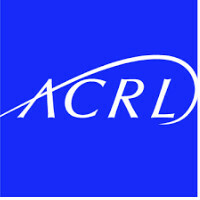 What is the ACRL Framework for Information Literacy for Higher Education? The Framework was preceded by the association’s Information Literacy Competency Standards for Higher Education. It existed as a model for librarians to follow in teaching students about research and evaluation of information. These guidelines were significantly revised and the Framework for Information Literacy for Higher Education was released in 2015. What significance or value does the ACRL Framework have for faculty? “The Framework opens the way for librarians, faculty, and other partners to redesign instruction sessions, assignments, courses, and even curricula; to connect information literacy with students success initiatives; to collaborate on pedagogical research and involve students themselves with that research; and to create wider conversations about student learning, the scholarship of teaching and learning, and the assessment of learning on local campuses and beyond.” ("Framework for Information Literacy for Higher Education", American Library Association, p. 3, February 9, 2015. http://www.ala.org/acrl/standards/ilframework. Accessed 25-5-18). How does the library plan to work with faculty on increasing knowledge of the Framework and possibly incorporating some of the frames into library instruction sessions exercises or assignments?